Although most of my tribe, family, friends and social media community, didn’t agree with my decision to start a new set of locs, the decision worked for me. 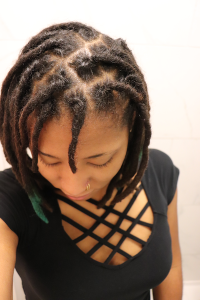 I’ve had Sisterlocks and combed them out after two years, now with this set of traditional locs I went through the same process. Although, the experience was very different. Three years ago, I combed out 335 Sisterlocks with a thumbtack in the bathroom over a full season of Scandal— roughly 10 hours. 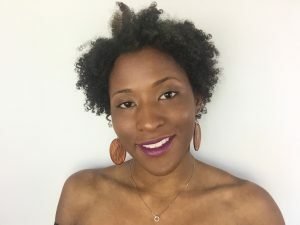 After my Sisterlocks were out, I received a lot of negative comments about how stupid I was for cutting my hair and how “ugly” I looked without long hair. The comments where made by family and through social media when I shared pictures of my TWA. Thankfully, I was confident in my choices and didn’t let what others thought phase me. Eventually, my hair grew into a gorgeous set of traditional locs which many of my “haters” grew to admire. From that experience, I assumed a few things— 1. I would get backlash for cutting my locs and 2. 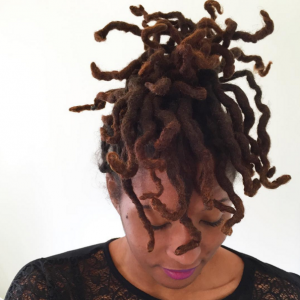 It would take 10 hours or less to takedown only 44 locs. 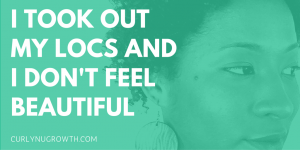 I was right about one of those things— I definitely received criticism for cutting my locs. I spent a week and over 20 hours combing out my traditional locs, not to win a beauty pageant but to make a difference in the loc’d community. Unlike the first time that I combed out my locs, I made this decision by choice rather than necessity. 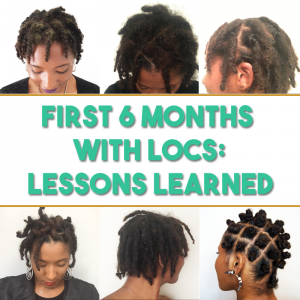 I made the choice to restart my traditional locs to use my own experience as an educational tool to help others along in their journey. 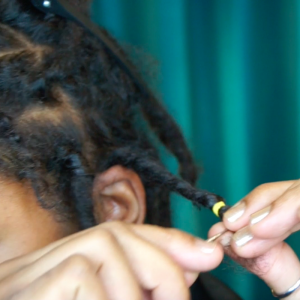 With the new set of locs, my intentions are to show you the good, the bad, and the “ugly stages” of locs. I can now speak from a place of experience and expertise versus uncertainty and assumptions. 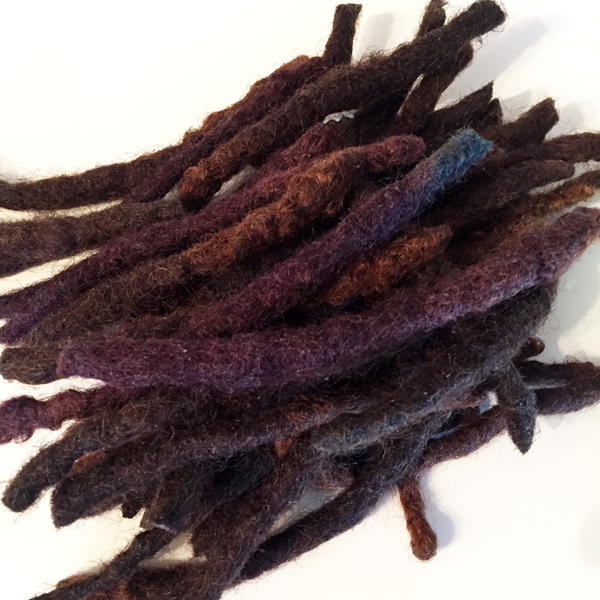 I’ve grown through the trial and errors of cultivating locs, a few times, and I can begin (and share) a new journey with more answers than questions. I’m ready for this new journey and I hope you’re ready to grow with me! In my latest video “First Day Without Locs“, I share the process of combing out my locs and I talk about how deceiving my hair texture is. How did you feel when you first started your natural journey? Thank you for taking the extra step & sharing your hair journeys with us. Its appreciated. Side note: its sad that people choose to spew hatred & unkind sentiments because you are * FREE * and exercise your right to be yourself unapologetically, fearlessly. People hate what they don’t understand &/or are afraid to do/try themselves. Wow! It looks like I stumbled upon your blog just in the nick of time! I’m going to loc my hair soon. I’m just trying to gather up the courage to dedicate the time to it since I have a toddler. I’m also still deciding if I want to do them myself or if I want to get them professionally installed. Anyway, I look forward to reading your posts and watching your vids. I love how you are not confined by your hair. I admire that. I feel so burdened by my hair. I have worn the same style for the last 10 years. I’m ready to sit in the barbers chair and wear a low fade. I’m ready for a change. I feel so free when my hair is sticking up on my head lol. You rock my sista! As long as you feel happy and confident with your decision that’s all that matters. Everyone has a vision of what they want their hair to look like and sometimes that means starting over and over again. This next Journey will be just as much as a blessing as this one has been.